Follow these steps to install the Chinese language pack for Joomla 3. 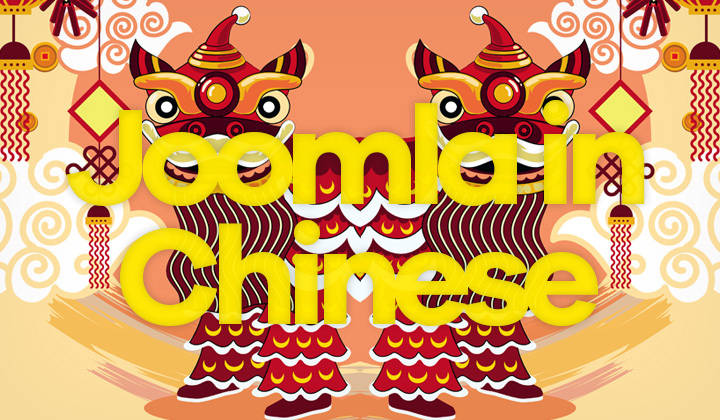 Quick & simple, 14 steps to install & configure the Simplified Chinese language pack for Joomla. At the time of writing, I am using the latest Joomla! 3.3.3 version. And currently Joomla 3.8.11 is the latest release. 1. Go to Extensions -> Language Manager and look for the “Install Language” button. 2. Select “Chinese Simplified” (or which ever language you need) and hit “Install“. The alternative way is to download the language pack corresponding (or the nearest) to your version of Joomla from the link below and install the zip file with the Extension Manager. 3. Go to Language Manager (under Extension Manager) and you will see a new language “中文（简体）” installed. Click on it. 6. Enable the plugin & choose your configurations. It’s important to enable the setting “Remove URL Language Code” so that the default language will not have a language code in the URL. When your done, save. 7. Add a new menu using the Menu Manager called: “Hidden Menu“. 8. Add a new menu item in the new menu called: “Hidden Home” with menu type of “Featured Articles“. Select “Default Page” to “Yes” and save. 9. Go to your main menu and select the previous default page menu item. Change the language to the default language. Ex. “English (UK)“. Choose “Default Page” as “Yes” & save. This creates the default page for that language. 10. Do the same for other languages. Make sure you have a different menu for each language. And that the “Hidden Menu” is left alone. 11. To create a link to the new language, you can use the “Language Switcher” module, or simply make a menu item “System Links -> External URL” and point it to “http://www.yourdomain.com/zh/“. 12. To point back to the default language use “http://www.yourdomain.com/en/” which will automatically forward to the domain root http://www.yourdomain.com. 13. Go to the menu list of the Menu Manager and select “Add a module for this menu type.” for the Chinese Menu. Give it a name, turn the title off, choose the language and select the same position as the default language menu is using (note: no module for hidden menu). Check if there is a “Menu Tag ID” or “Menu Class Suffix” in use for the default menu and apply the same ones to the Chinese language menu. 14. Make sure all menu items are set to their corresponding language. Questions about installing languages like Chinese on Joomla? I welcome all related comments below. David. 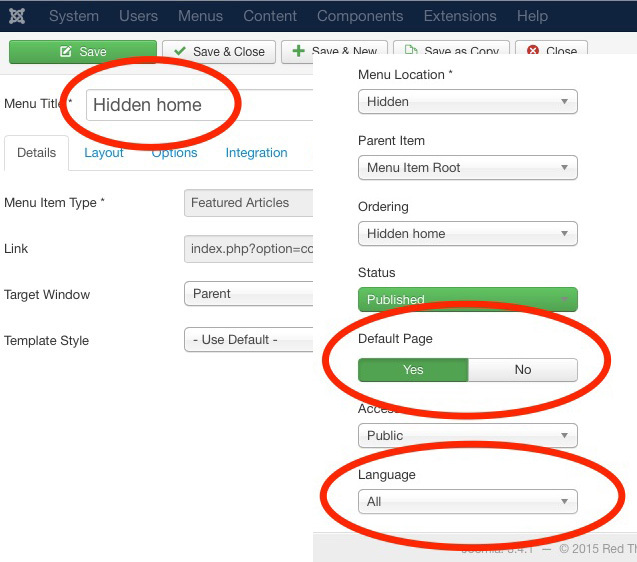 For any multi-lingual Joomla setup, you need to have one menu item set as the default home page for all languages. Then you can define the menu items for the home page of each language. The reason I am naming it hidden, is because this menu item is not used for anything. So this hidden menu is just a place to store menu items that are not publicly visible.